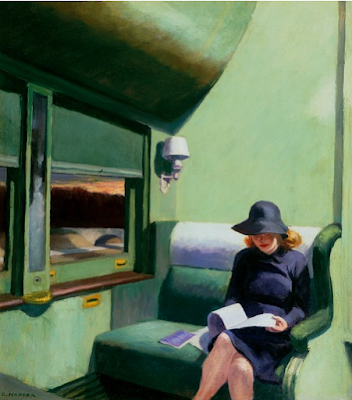 Books and Chocolate: Back to the Classics 2019: Yea or Nay? Back to the Classics 2019: Yea or Nay? As you may have noticed, I've really been slacking off from the blogging the last few months. I don't know if it was just a temporary lull, or it's time to wind up this blog. It's been more than nine years, and sometimes I feel like I'm just moving in a different direction. I love reading, but sometimes writing blog posts feels like homework. Also, I've been traveling a lot this past year (I keep meaning to post about my trips but I never seem to get round to it.) We have less than a year left here in Germany before we move back to the U.S., and it's going really fast -- I have so much more I want to do before I go! So, I've really been considering taking a break from book blogging, or moving this blog in another direction. But the Back to the Classics Challenge probably been one of my favorite things about it; I've been hosting this challenge since 2014, when I took over from Sarah Reads Too Much and I've been so pleased by the response! More than 180 people signed up last year, which is amazing. What I'm asking is this: should I continue the Back to the Classics Challenge in 2019? How many people are still interested in participating? I realize that my readership may have dropped off because I've been blogging so infrequently, but if readers are still interested, I'll consider continuing. Please let me know in the comments if you're interested in participating. Thanks! I am definitely interested in doing the challenge again. I've been checking the site a couple of times a day to see if there is an announcement post. :) It is one of my favorite challenges to participate in! Back to the Classics is by far my favorite challenge. I've participated for two years, and I've been checking daily since December 1 to see what next year's categories are! That being said, I understand when things that used to be fun are suddenly not anymore. If you need to take a break from the challenge, that's okay too. I took the 2018 Back to the Classics Challenge this year and I want to thank you for hosting it. I read great books I never would have otherwise. I do understand what you mean about reviews becoming like homework and so if continuing the 2019 challenge is interfering with other subjects you would like to blog about I can certainly understand the desire to take a breather and once again thank you for the hard work you have done in hosting past challenges. I would definitely sign up again if you host again. This past year was my first, and it's been fun! Hello, I have not participated in this challenge before but I was planning to this year. I just began working on my classics list for the Classics Club in November. So I would love to join in the Back to the Classics 2019 challenge. However, I sympathize with the time demands of blogging, and you have to decide what is best for you. This was first year doing the challenge and I greatly enjoyed myself! I have looked forward to doing it again next year and will definitely be bummed if it doesn't continue. I understand about moving on, though. You mentioned that you took it over from Sarah Reads Too Much in 2014. Maybe there's another blogger that's been doing the challenge for a couple of years that you could pass the responsibility onto? I'm definitely up for 2019. However, here's a what if - what if another blogger hosts it in 2019 (not me BTW, I toyed with offering, but I really should not). But that thought left me wondering, maybe someone would like to. And...here's another what if - Maybe they'd love doing it, and you could each host in alternate years, or some such arrangement. Just a thought. Nevertheless...thanks Karen! I will join in again in 2019 if you continue it, but if that isn't what you want to focus on at this point that is totally understandable. Whatever you decide I've enjoyed the challenge and appreciate the work you put into it! I would love for you to continue, I was checking to see the new categories. I participated last year and started this year (but then life happened) so I'm good and ready for 2019! Whether you stay or not, I hope you leave up your blog. It's a wonderful source of info! 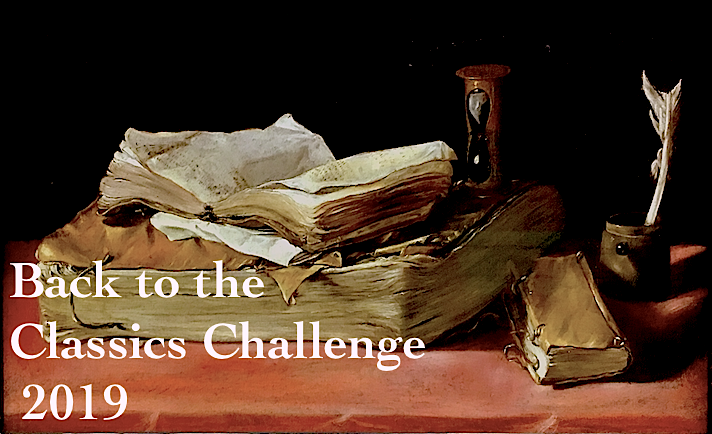 I've been checking your blog every day for the past two weeks waiting for the announcement of Back to the Classics Challenge 2019. I will be very happy if you decide to continue this lovely tradition and if you decide not to, thank you for the previous years. I'd love to participate again but I fully understand if you no longer want to host. I understand that writing posts feels like homework. Now I'm on GoodReads and no longer blogging I have to fight the temptation to just give a star rating and call it good. I'd be interested in at least seeing another list, but since you've hosted it for 5 years, I can understand the feeling that you've done your bit. But as others have suggested, is there a possibility of passing on the baton? I am still interested in the Challenge and participate although I dont post about it. It keeps me focused on books that really matter and helps weed out the noise. Of course I understand that there are many other things in life that are important, but I would miss your blog if you took it down. Please consider leaving it up for those of us who like to go back and find unknown gems. An idea: choose a year from the past challenges and revisit those questions. If I continue you can certainly count books for both challenges! I am planning on participating next year after taking a year off. I've been checking in for the last ten days or so to see if you were going to host again. I am planning to participate this year! I hope you will host again! I missed it this past year. Wow--with just a year to go before moving back to the States, and to a new life, really, after a time away, I can see why keeping a regular blog would be a chore. You have a great deal to think about, I'm sure, as well as more traveling. But how I will/would/will miss your blog! Just want you to know that I enjoy and appreciate the care you take with it. It has always been informative and a pleasure to read. I am planning to read many more Classics during 2019. I have that craving. And lots of Classics that have stacked up on my shelves. If you do decide to do it, I'll do my best to join in. This challenge takes me on rich journeys through literature which I would never, never would have found my way into otherwise. So if you can keep going I hope you will. I need the ideas and the deadline to take me off the beaten path to amazing other worlds.The discipline of reviewing each book always takes me deeper into the books too. I have participated in Back to the Classics for the past several years and it means quite a lot to me. Each year I wait impatiently to see what the next categories will be and plan out my reading list. I've read many, many novels that I wouldn't have picked up without this challenge. In fact, it's the only reason that I'm struggling through Ulysses now (not an easy task)! I read Walden this year because of this challenge, and I actually went to Walden Pond last month because I got curious to see it for myself. It was one of the best trips of my life, and it was all due to Back to the Classics. I would love for you to continue it if you can. I understand if you decide not to. I'm no one important and I'm not a popular blogger by any means, but I would run it for you on my blog if you wanted to take a break this year. You could have it back whenever you were ready. Whatever you end up deciding, thank you so much for hosting this challenge. I have truly enjoyed it. I'm so glad you decided to give us one more year. I appreciate what a hard decision this must have been for you to make in light of everything going on in your life, but I am so grateful to you for continuing this wonderful challenge. I didn't comment earlier because I was reluctant to influence you one way or the other, but like others, I have been visiting your blog again and again for the past month eagerly anticipating the 2019 challenge. :) Because of your challenge, I have read books the past two years that have been on my TBR list for years, and I am so thankful you gave me the push to get quite a few of them read. Classics truly are treasures waiting to be discovered. Thank you! Now, on to making my reading list for next year. Yeah!!! Thanks for continuing! I am working on my book #12 for 2018, and then I will sign up for 2019. I'm SO glad that the challenge will continue... I'd have been terribly sad if it disappeared in 2019. Thank you! TBR Pile Challenge 2019: Viragos or Non-fiction?